As summer turns to fall, it’s nice to see bright yellow sunflowers growing big and tall. 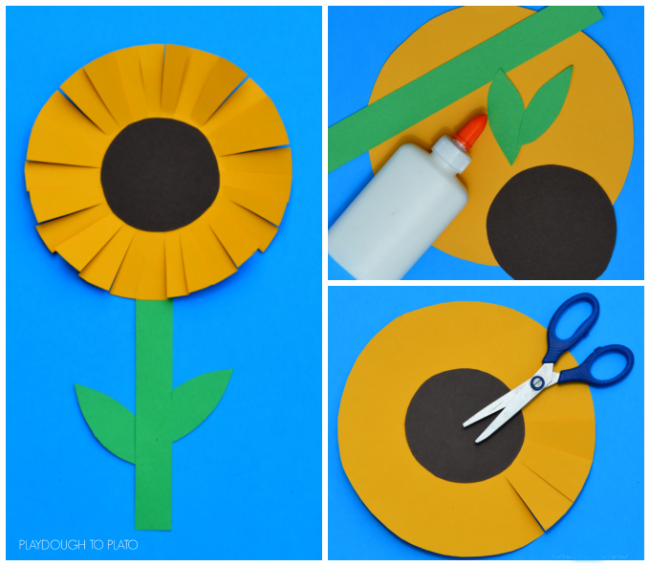 This colorful sunflower craft for kids is perfect for preschool, kindergarten and first grade alike. 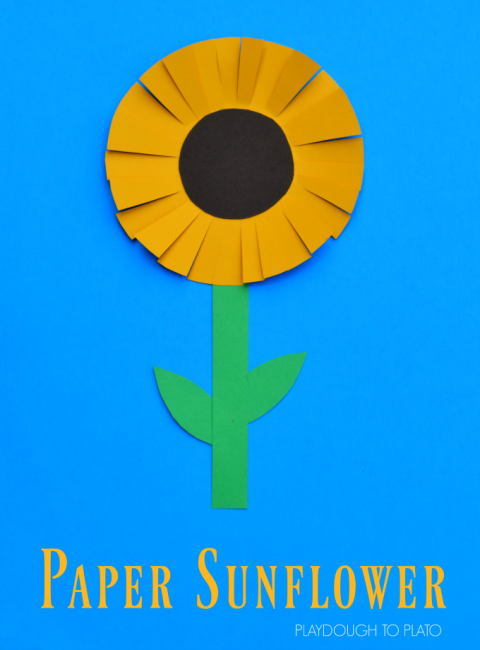 The process of making this sunflower craft is super simple and uses just three supplies you most likely already have right at home or in the classroom: paper, glue, and scissors. 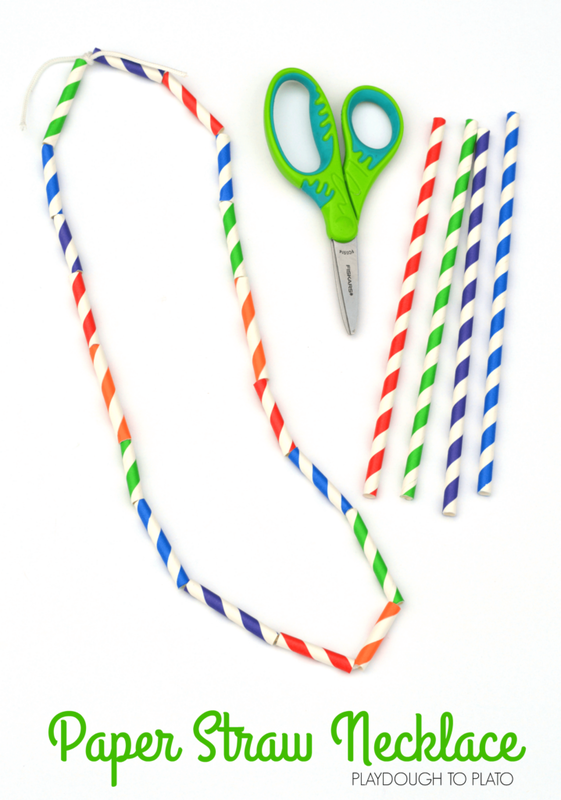 As a big bonus, this sunflower craft provides scissor practice for young kids who are working on developing their fine motor skills. 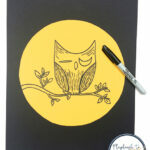 First, we cut out a large circle from the yellow paper and a smaller circle from the black paper. We then glued the smaller black circle to the middle of the yellow circle. This black circle would act as a guide when kids completed the next step. 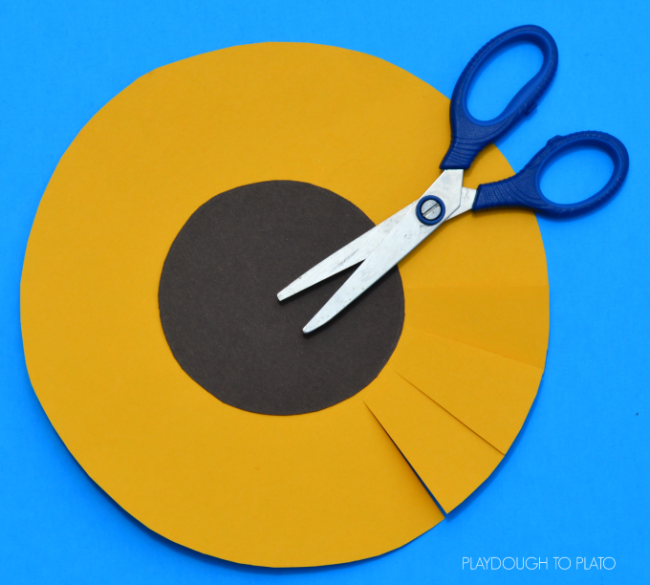 We cut strips into the yellow circle to form the petals of our sunflower craft – making cuts all the way around the yellow circle. Next, we cut a long stripe for the stem and two leaves from the green paper. We glued the leaves to each side of the steam and attached the stem to the back of the yellow circle. To take learning one step further, discuss the parts of the sunflower: seeds, petal, stem, and leaves. Or further your fine motor work using tweezers or tongs to remove the seeds from a real sunflower!